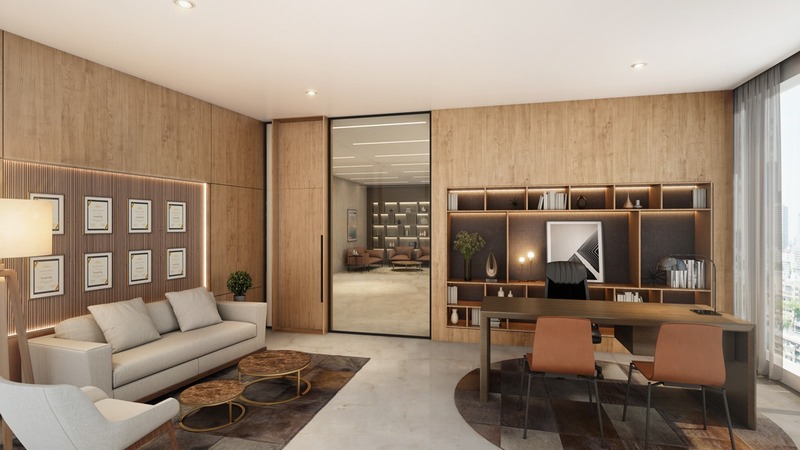 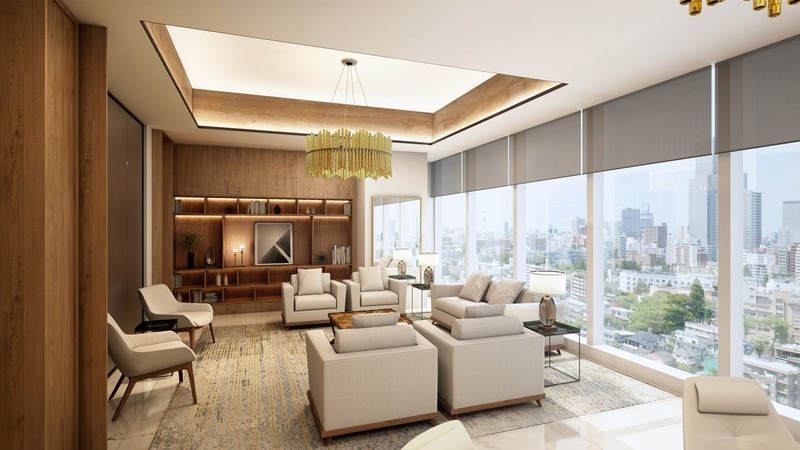 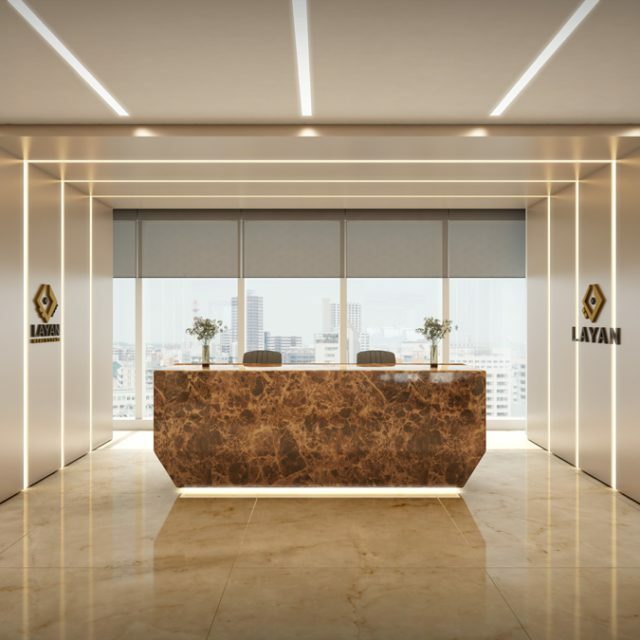 Layan is a real estate company, located in the business district of Dubai and consists of an open space workstations, executive offices, meeting rooms, as well as lounge area. Layan’s elegant character is translated into the excessive use of rich materials and details throughtout. 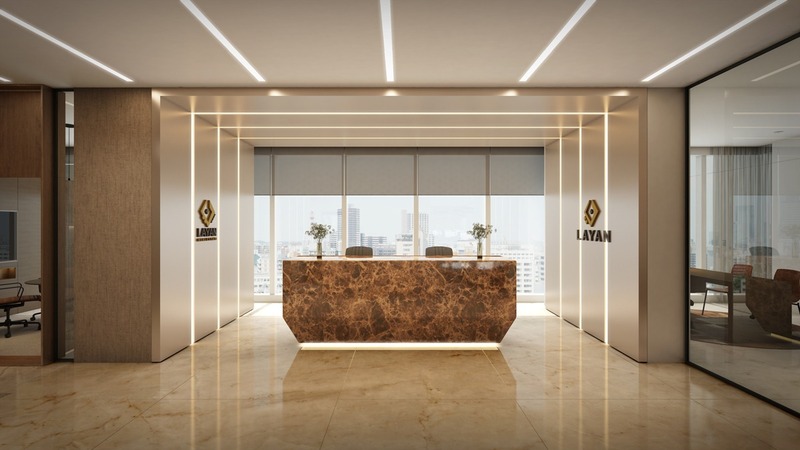 Wooden wall panels and textured wall coverings, with brushed bronze finishes add to the design creating this space a business card for Layan. 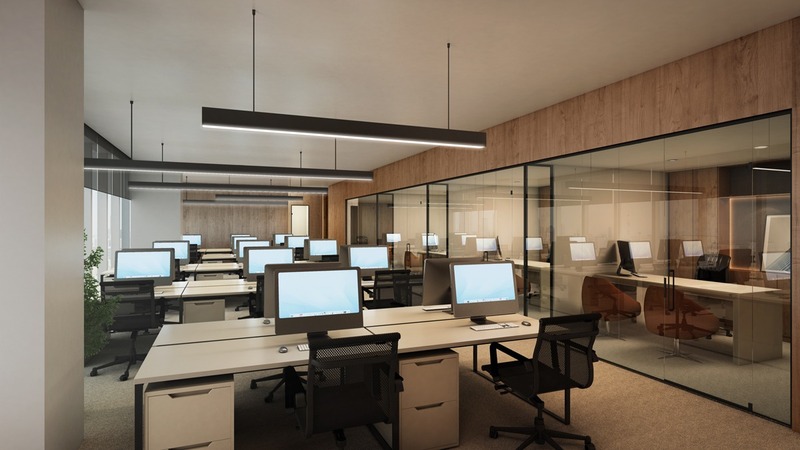 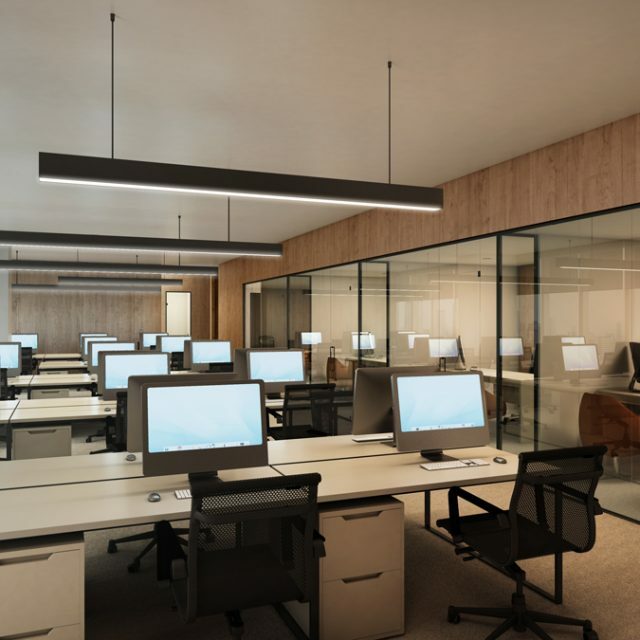 Light carpet flooring and transparent partitions create visually a bigger and lighter space for the workstations. 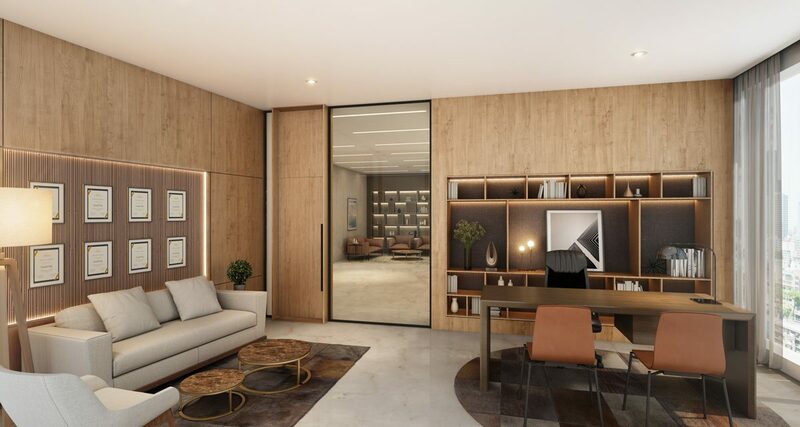 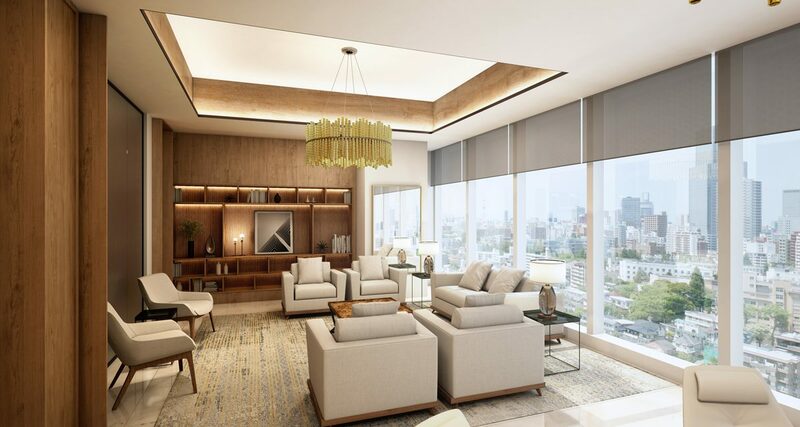 A palette of soft textures and natural colours emphasized by bright and shiny marble flooring form a clean and welcoming space for informal meetings. 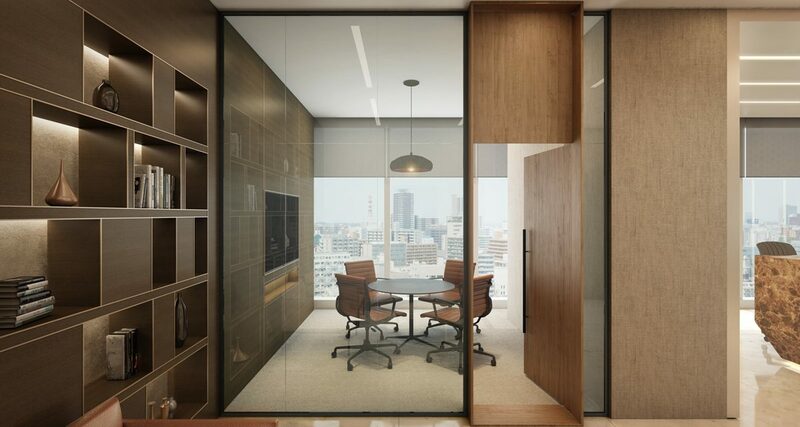 Vibrant meeting room consists of transparent partitions, light and warm finishes and elegant furniture.